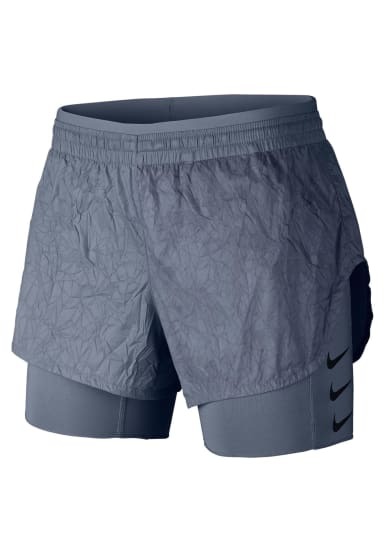 The Nike Elevate 2-in-1 Women's Running Shorts are made from a crinkly fabric with a water-repellent finish that helps keep you dry. 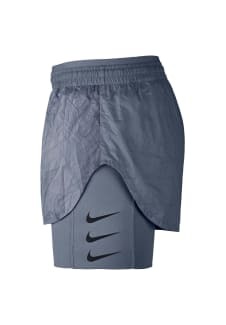 They feature high split hems on the sides for full mobility and inner shorts for supportive coverage. 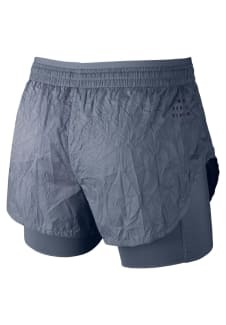 •Fabric: Body: 100% nylon. Tights: 84% polyester/16% elastane.